November 03, 2010 (KATAKAMI / THE JAKARTA POST) — President Susilo Bambang Yudhoyono was welcomed by another eruption at Mount Merapi on Wednesday morning when he was about to visit a shelter site for refugees in Pakem, Sleman, Yogyakarta. An officer at the Mt. Merapi observation post, Agus, said that the eruption occurred at around 8:20 a.m.
“It was a single eruption but quite big. The mountain spewed hot clouds which moved about five kilometers to west,” he added as quoted by Kompas.com. Mt. Merapi, where an eruption on last Tuesday has killed 39 people so far, is still on top alert status as it still continues to erupt and spew hot clouds of ashes. 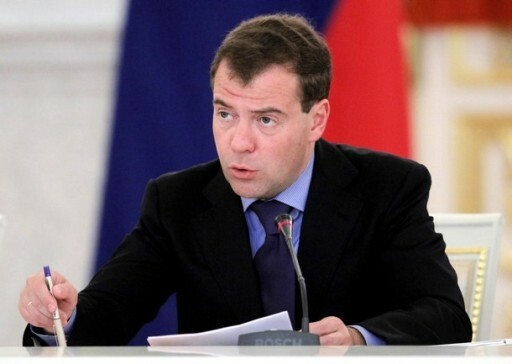 October 28, 2010 (KATAKAMI / KREMLIN.RU) — Russian President Dmitry Medvedev sent his condolences to Indonesian President Susilo Yudohoyono following the earthquake and tsunami in Indonesia. “I was profoundly saddened to learn of the great loss of life and the destruction caused by the earthquake and tsunami in Indonesia. I express my sincere sympathy and share the Indonesian people’s pain and grief. Please pass on my condolences to the victims’ families and my wishes for a speedy recovery to all who were injured. October 27, 2010 (KATAKAMI / THE JAKARTA POST) — President Susilo Bambang Yudhoyono will visit Mentawai at 9 a.m. on Thursday to meet with tsunami victims. Yudhoyono is now in Padang, West Sumatra. Presidential spokesman Julian Aldrin Pasha said Wednesday Yudhoyono will not go to Yogyakarta, but he asked Vice President Boediono to do so. Monday’s tsunami has killed 311 people in Mentawai. October 27, 2010 Hanoi, Vietnam (KATAKAMI / ANTARA) – Visiting Indonesian President Susilo Bambang Yudhoyono has to cut short his working trip and return to Jakarta on Wednesday. The president made the decision to return to Indonesia following a volcanic eruption in Central Java on Tuesday and earthquake-triggered tsunami in West Sumatra on Monday. The president was forced to immediately return to Jakarta to monitor for himself the direct impact of the two separate natural disasters on the local people. “President Yudhoyono has made up his mind to return to Indonesia on Wednesday,” Minister/State Secretary Sudi Silalahi told the newsmen in Hanoi, Vietnam, earlier in the day. Sudi said the president was scheduled to directly head to Mentawai, West Sumatra, to obtain the first hand information about Monday`s powerful earthquake which was followed by a deadly tsunami. President Yudhoyono and his entourage arrived in Hanoi on Tuesday evening for a state visit to attend the 17th Asean Summit. The president`s party included the Chief Economic Minister Hatta Rajasa, the Minister/State Secretary Sudi Silalahi and the Foreign Minister Marty Natalegawa. Yudhoyono would start his activities in Vietnam on Tuesday by paying a state visit, which was at the invitation of Vietnamese President Nguyen Ming Triet. The president made the state visit in connection with the 55th anniversary of diplomatic relations between Indonesia and Vietnam, which fall on December 30, 2010. According to the presidential spokesman for foreign affairs Teuku Faizasyah, the visit would focus on increasing the cooperation in the fields of politics, law, security, economy, development, social and tourism. But at about 7.55 on Wednesday morning, the members of the presidential entourage were asked to pack their belongings and get ready to leave the hotel. 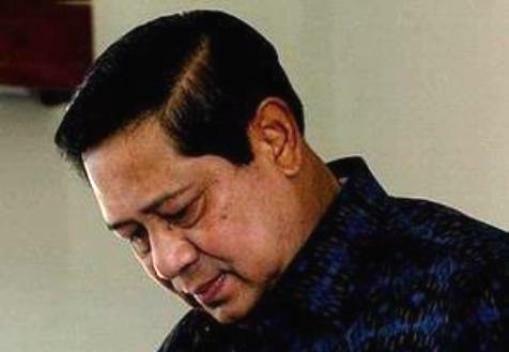 October 27, 2010 HANOI (KATAKAMI / THE STRAITS TIMES) – INDONESIAN President Susilo Bambang Yudhoyono, in Hanoi for an Asean summit, will return home early on Wednesday because of deadly natural disasters at home, an Asean source said. ‘It’s true. 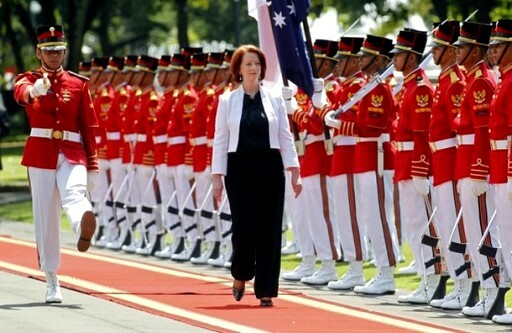 At midday’ he will leave, the source told AFP. Dr Yudhoyono arrived in Hanoi on Tuesday for an official visit with Vietnamese leaders before the summit of the Association of South-east Asian Nations (Asean) on Thursday, and the follow-up East Asia Summit Saturday with six regional partner nations. A 7.7-magnitude quake that struck late on Monday near the Mentawai Islands off Sumatra island triggered a tsunami that has killed at least 112 people and left hundreds more missing. 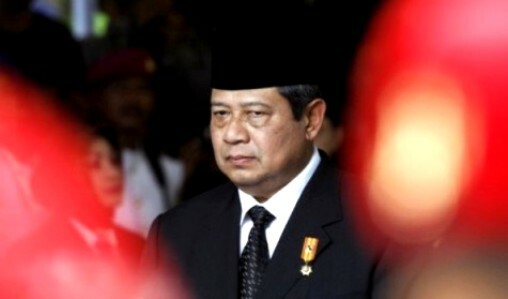 October 19, 2010 (KATAKAMI / THE JAKARTA POST) — President Susilo Bambang Yudhoyono is scheduled to leave Jakarta Tuesday morning for a one-day visit to Makassar, South Sulawesi, to open gubernatorial meeting, which will be held at Hotel Clarion. The President is also scheduled to officiate several construction projects include a Rp 32 billion (US$3.5 million) of Andi Mattalatta ferry port in Barru district and Pamatata Port worth Rp 54 billion in Selayar district, Tempointeraktif.com reported. Yudhoyono will be accompanied by First Lady Ani Yudhoyono and several ministers, including Coordinating Minister for Political, Legal and Security Affairs Djoko Suyanto, Coordinating Public Welfare Minister Agung Laksono and National Development Planning Minister Armida Alisjahbana. October 17, 2010 (KATAKAMI/ THE JAKARTA POST) — President Susilo Bambang Yudhoyono said Sunday that any differences among political parties must not sacrifice national unity. “Each of us can have a different political stance, but for the people, we must live in unity,” he said during the celebration of the ninth anniversary of Democratic Party. Yudhoyono called on his party members to work hard for the next three years. Political party chairmen and leaders such as Aburizal Bakrie, Hatta Rajasa, Suryadharma Ali, Muhaimin Iskandar, Tifatul Sembiring, Suhardi, and Sutiyoso attended the Democratic Party anniversary celebration. October 15, 2010 (KATAKAMI / THE JAKARTA POST) — President Susilo Bambang Yudhoyono gave assurance in Manokwari that the government will build temporary shelters to accommodate thousands of victims of major flooding, which recently hit Wasior in West Papua. “The government has been determined to build the temporary shelters,” the President said at Rendani airport on Friday as quoted by Antara. Yudhoyono was in Manokwari on his way to go back to Jakarta after visiting the flood site for two days and meeting with the victims. He said that the temporary shelters will be much better that the existing temporary accommodation used by the victims. Data at the National Disaster Mitigation Agency shows that at least 4,771 people have been displaced by the flooding and they are now accommodated at several locations in Manokwari. President Barack Obama of the United States, left, and President Susilo Bambang Yudhoyono of Indonesia, right, meet on the sidelines of the G20 summit in Toronto, Sunday, June 27, 2010. Also pictured are Indonesia’s Foreign Minister Marty Natalegawa, second right, and Indonesian presidential spokesman Dino Patti Djalal. TORONTO (THENEWSTRIBUNE.COM) – President Barack Obama insists he’ll make it to Indonesia yet. He’s twice postponed presidential trips to the country where he lived with his mother and Indonesian stepfather between age 6 and 10. Trips were set to Indonesia and Australia this year but pressing domestic matters – the health care debate in Congress and later the Gulf of Mexico oil spill – led to the delays. The United States and Indonesia have a strong relationship, Obama said, and he looked forward to making it even stronger. Two challenges, he said, are working to promote climate change and improving education for young people. 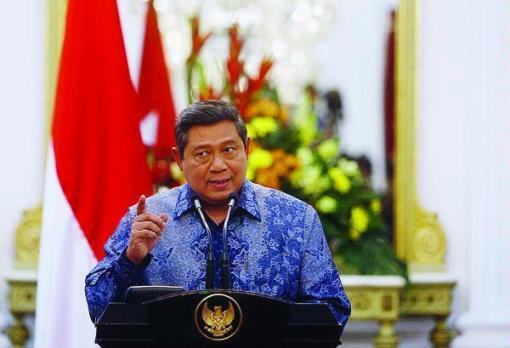 Yudhoyono agreed and said he was pleased by the two countries’ common interests.